After taking a creative break last year, Swedish Heavy Metal pioneers HAMMERFALL are fully recharged and back with a vengeance. Entering a new chapter of the HAMMERFALL success story, »(r)Evolution« will be out on August 29 (Sweden: 27.08., UK: 01.09., USA: 02.09.) via Nuclear Blast. With »(r)Evolution« the band takes things back to the roots in many ways, as they once again worked with producer Fredrik Nordström, who helmed their two milestone releases »Glory To The Brave« and »Legacy Of Kings« during the band’s early years and thus has taken a major part in the development of HAMMERFALL. The music was recorded in guitarist Oscar Dronjak’s Castle Black Studios in March and April. Then singer Joacim Cans went to the United States for vocal recordings, once again working with James Michael (the SCORPIONS, MÖTLEY CRÜE etc. ), who also did a great job on the predecessor »Infected«. The album was mixed and mastered by Fredrik Nordström and Henrik Udd in Studio Fredman. Another reunion of sorts takes place with cover artist Andreas Marschall, the “father” of HAMMERFALL’s mascot Hector, who has been with the band since the very first album and is once again included on the front cover of »(r)Evolution«. The beautiful artwork features all the traits that made the Andreas Marschall HAMMERFALL covers so beautiful and special. On July 18, 2014 the hymn-like ‘Bushido’will be released as the first single track – digitally as well as on vinyl. The song sums up the band and its history perfectly, as in Japanese bushido means “the way of the warrior”. Last Saturday, countless international journalists, TV stations and local press, got together in the bands hometown Göteborg for the album’s baptism. Isabelle Le Maguet of French Metallian Magazine commented: “With (r)Evolution, HammerFall are back to their roots but show they can offer varied songs at the same time. Full of metal hymns, catchy tunes/choruses, nice choirs, interesting/dynamic rhythm variations, good soli and melodic vocal lines, this new album will definitely please the fans” Jürgen Will from German Rock It magazine even predicts the CD to have „the potential to become a classic“. Dutch power metallers LORD VOLTURE have inked a two-album deal with Mausoleum Records. The group’s yet untitled third album, is scheduled for a release this fall. The new album was produced/recorded by Bart Hennephof (Textures) and Yuma van Eekelen (Pestilence) at Split Second Sound Studio, Amsterdam, and Final Focus Studio, Tilburg, the Netherlands. Mixed by Stephen van Haestregt (Within Temptation, Ambeon) and mastered by Peer Rave at Swamp Studio, Raamsdonk, the Netherlands. 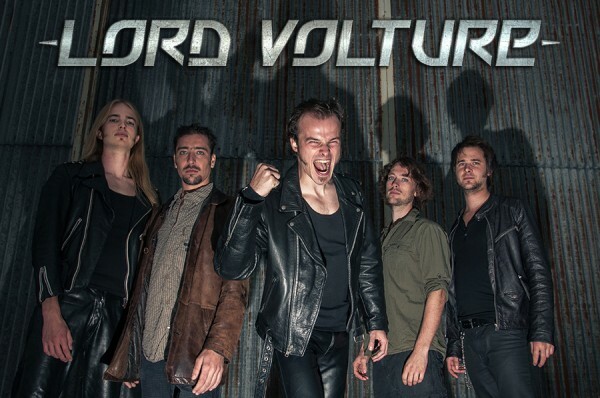 LORD VOLTURE are a heavy metal outfit in the tradition of Judas Priest, Iron Maiden and Iced Earth, hailing from the Netherlands and led by vocalist David Marcelis. After an explosive take-off in 2010 with the release of debut album ‘Beast Of Thunder’ (feat. Jeff Waters of Annihilator) the band rapidly rises to find themselves in the frontier of Dutch Heavy Metal. With their sophomore release ‘Never Cry Wolf’ (feat. Sean Peck of Cage) in 2011 the band set their definitive style while increasingly gaining recognition everywhere they’re heard. 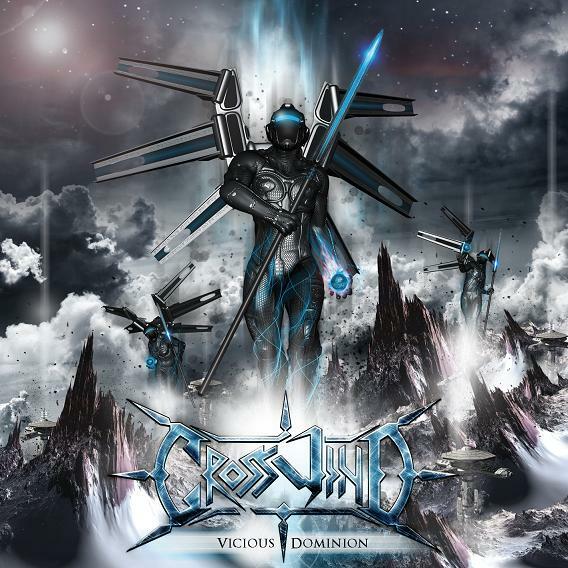 The album thunders through the global metal community and reviewers worldwide count the album among the best releases of 2011. This massive exposure opens doors to many festivals and support slots and, as a result, LORD VOLTURE have shared the stage with Primal Fear, Firewind, Tim Ripper Owens,Blaze Bayley, Vicious Rumors, Tokyo Blade, Enforcer, Steelwing, Attacker, and numerous others, while touring through the larger part of Europe. A new head-on LORD VOLTURE metal album has been recorded and is ready for release this year. Sharper than ever, the band are ready to unleash their third chapter of high-pitched power vocals and mind boggling guitar solos onto the world. For all who bear a heart of steel, LORD VOLTURE is a definite MUST! His replacement will be Robbie Crane (formerly of RATT, VICNE NEIL and LYNCH MOB). The Band then head into the studio to record the follow up to the 2013 release »All Hell Breaks Loose« for Nuclear Blast Entertainment. From the early ’90s the Greek black metal scene not only has captured the north and frost feeling of Norway, but also the most bands have managed to take music even further. In paths that no one could ever dream. The progression of black in Greece can be called without fears and prejudices as culture. Zemial, Aenaon, Hail Spirit Noir and Spectral Lore are some of those who see and act beyond what is seen. Have you ever picked up an album which could be the soundtrack of nature or dreams? Can 88 minutes of music be a spiritual expression of something transcendental? Yes, it can and “III” from Spectral Lore is exactly this soundtrack. The music of this album is not a philosophy, it’s a belief where ambient, progressive and black are becoming one. Ayloss proves to himself more than anyone else, that he has abilities to make the human mind travel outside the fake reality and let it face its real expressions. This is the feeling as a mental product of music. Singularity and Eternity; two sides where dreams pass from a close place to an open sky. Both sides are overwhelmed by epic black riffs and yet harmonic as well. 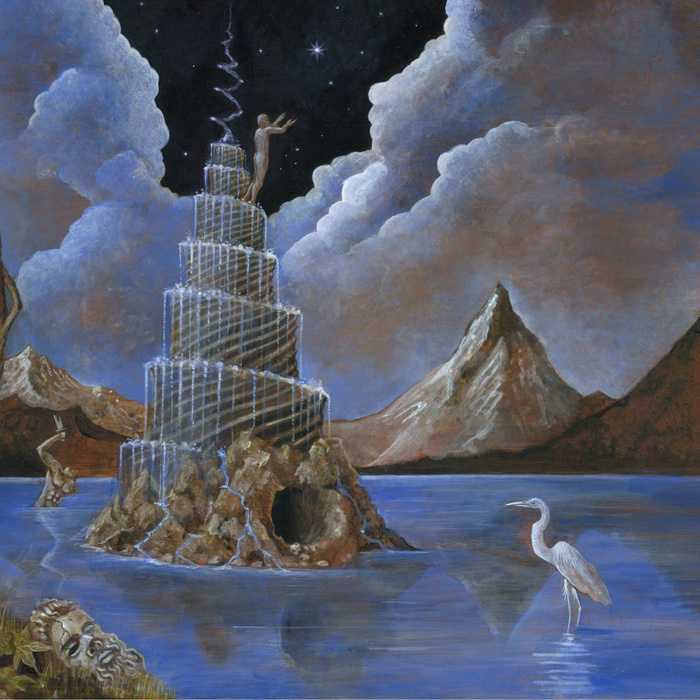 “The Cold March Towards Eternal Brightness” and “The Spiral Fountain” are expressing definitely the black/fast riffing of luminous mountains where thoughts can travel. And on the other side, “The Veiled Garden”; a doomy blackened silence with acoustic moments that can make you see through fog. As for the vocals of Ayloss… are out of the cosmic sound. And if the above songs can haunt your soul, the biggest journey, the brightest madness comes in “Drifting through Moss And Ancient Stone”. A majestic field of acoustic progression where strings speak their own lyrics. I could say that in this song there might be an affect from the Canadians Harmonium and their epic song “Histoires Sans Paroles”. After follows the one and only “Cosmic Significance”. Guys the melody of the ambient keys could stop the streaming of the earth and when the guitars bring the peak, we could say that this is the moment when the child touches the eternity, that was never promised to it. Listen to it even if you don’t like black metal. Trust me, here black metal is under the command of art. It’s been out there on the web for a few days already but here’s the official announcement for the new album cover of ‘Pale Communion’. Once again done by the fantastic Travis Smith with art direction by Mike. Icelandic heathens SÓLSTAFIR are back with a new album! The highly anticipated follow-up to 2011’s much praised ‘Svartir Sandar’ is entitled ‘Ótta’ and has been scheduled for an August 29th release (September 2nd in North America). As the name suggests, ‘Ótta’ will include eight songs, which titles will be unveiled later in June.